I wrote an article for WMN.ph last December. We look forward to gingerbread houses, vanilla showers and peppermint dreams whenever the cool winds of Christmas arrive. 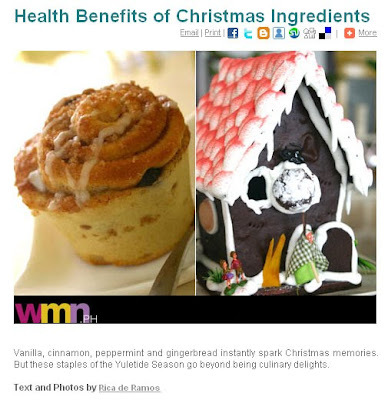 Check out what health remedies these Christmas staples can provide HERE.